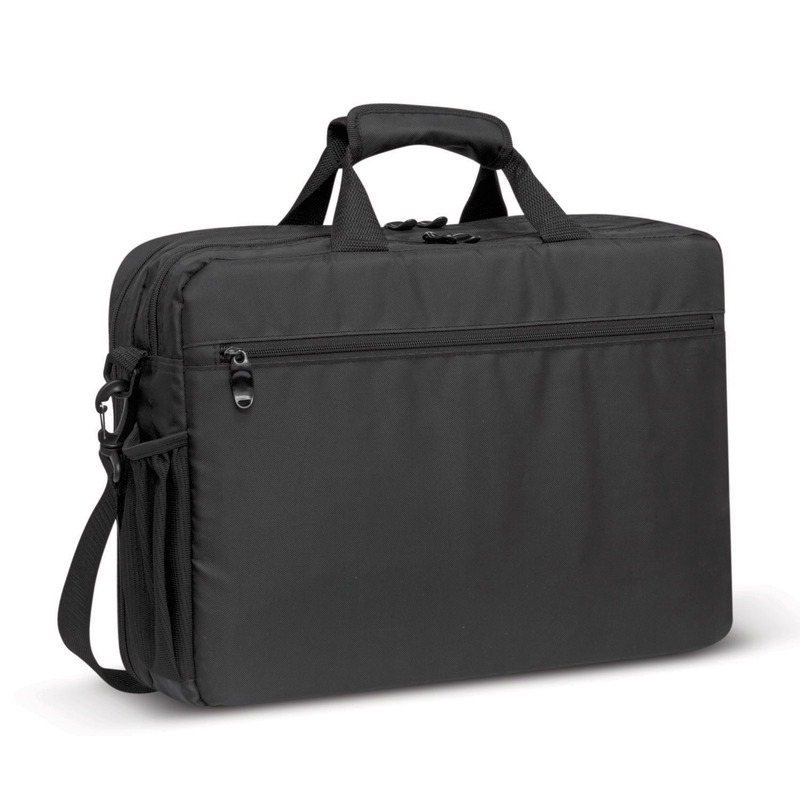 A superior laptop bag that has padded compartments designed to keep your laptop or tablet safe and secure. Keep your laptop safe with some of these superior laptop bags. They're made with 600D polyester and feature 2 fully padded internal compartments with provision to hold both a tablet and laptop as well as plenty of additional room to hold things such as documents. They have woven carry handles with a Velcro wrap and a padded woven shoulder strap that can be removed. These bags also have a large zippered front pocket, a rear luggage sleeve that slides over the handle on a roller suitcase and internal/external mesh pockets.